Real Group worked with The Schools Network to produce training materials for the Teaching Agency (Department for Education). This project presented an opportunity to bring together expertise of teachers, academics and other professionals; and to work with a Government Agency and a charity to help transform teaching of children with complex needs. 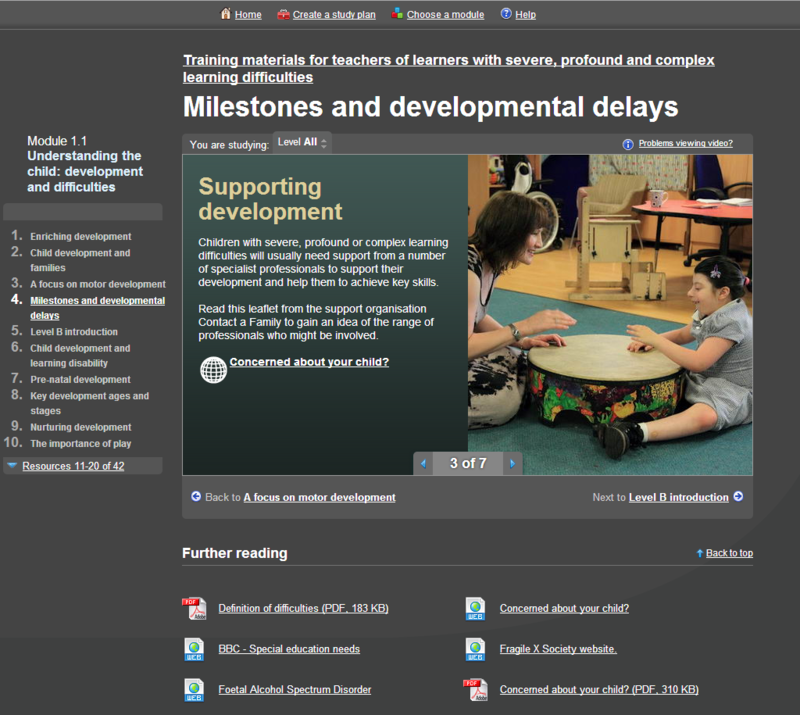 We delivered flexible online training resources that would reach out to a core audience of teachers but could also be used by other school staff as well as parents and professionals. The project brought together a wide range of professionals; content and practice experts, editorial and instructional design, visual design and technology. Children, parents and teachers collaborated with the team and made a crucial and unique contribution to the project.